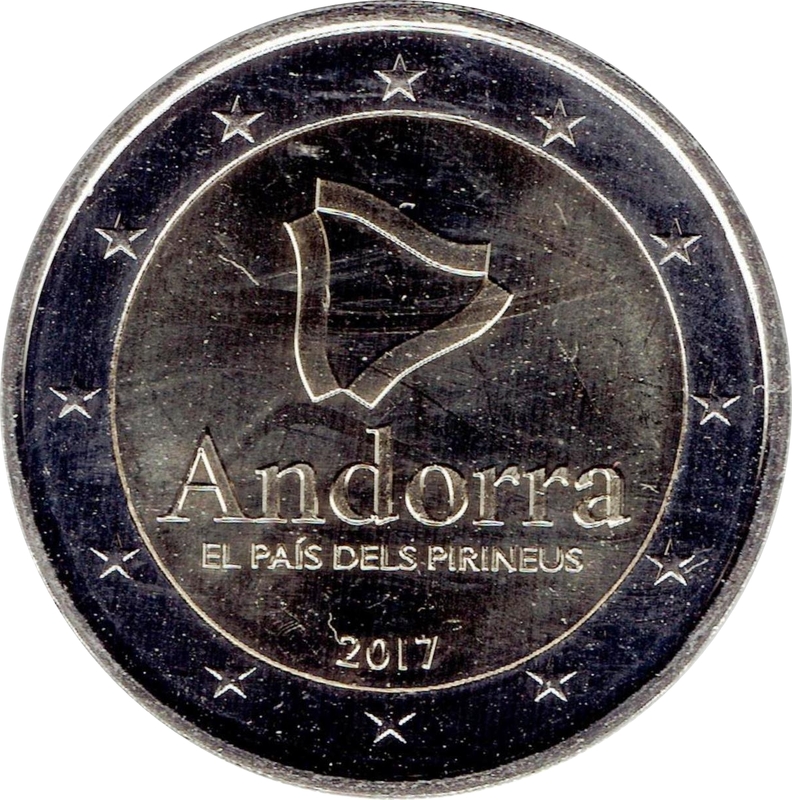 The design reproduces on its upper part a triangle, consisting of three undulating strips representing a simplified version of the map of the country, with the inscriptions ‘Andorra’ and ‘EL PAÍS DELS PIRINEUS’ (the Pyrenean country). 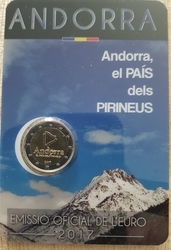 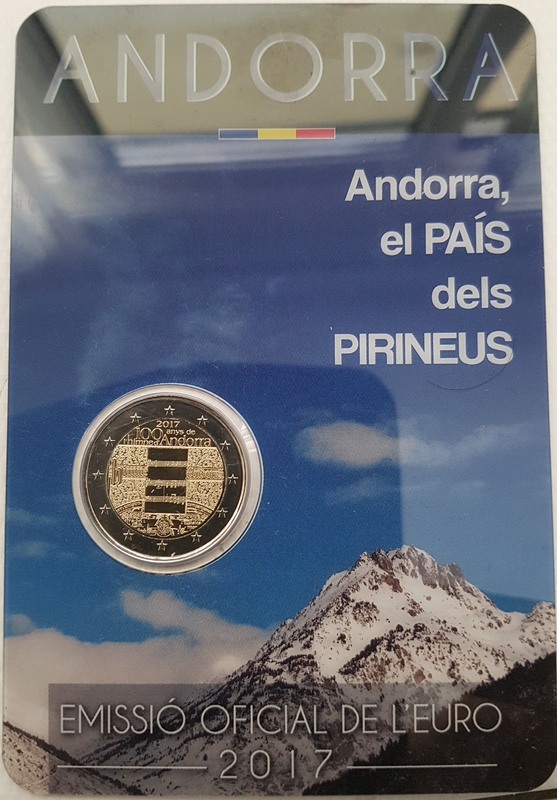 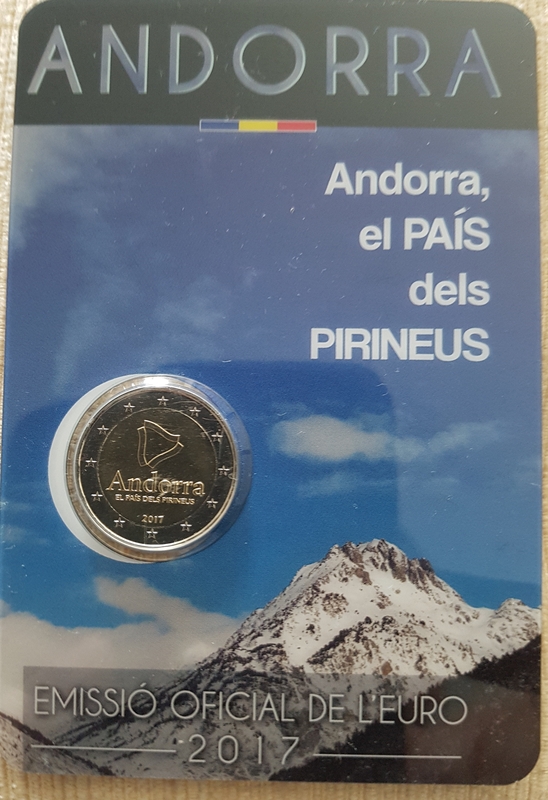 These three elements make up the brand owned by the Government of Andorra, which is used to provide a uniform, consistent and coordinated image to all graphic communication and, at the same time, achieve an unmistakable and instant identification. 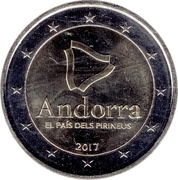 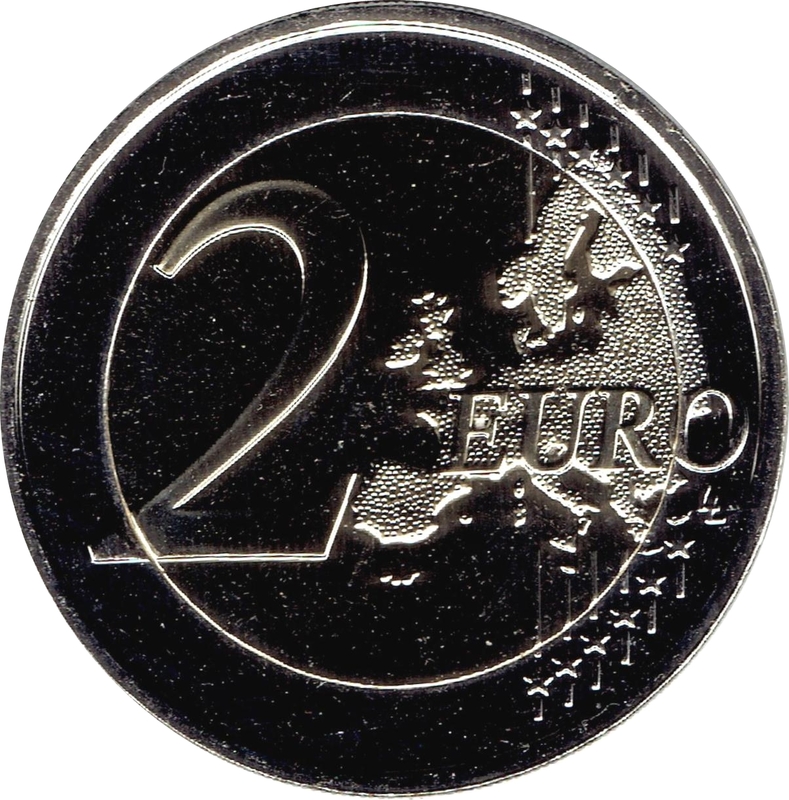 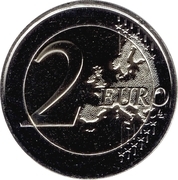 The lower part of the design depicts the year of issuance ‘2017’.